Throwbacklist Thursday: O Mother, Where Art Thou? in asian american studies, women's history | Tagged midwife, Mother's Day, mothers, parenting, Throwbacklist Thursday | Comments Off on Throwbacklist Thursday: O Mother, Where Art Thou? I wouldn’t try being a mom for a million bucks. I’m not just talking about all the surgery it would require. Fatherhood is definitely its own cross to bear, don’t get me wrong. There’s a reason men die at a younger age on average. But if you’re a father, you get a lot of credit just for being present, and “present” gets stretched to include monkeying with power tools or watching television. Society demands mothers be involved, and it never ends, because a child—let alone multiple childs—keeps finding a way into things: activities, friendships, art, sports, self-improvement, jaw traps, mud, coyote dens, and Lego addictions, just for starters. A mother, forced to deal with a larval life that’s always in flux, never gets to be laid back, a mindset the father takes for granted. Not only does she have to raise a child according to some unrealistic vision of the kid’s potential, she takes the lead role in parenthood’s most fundamental task: keeping a precocious ape alive long enough for it to develop some minimal sense of self-preservation. We salute all mothers here at the UI Press. We also publish books about them, their history, their hard work, their health, and their role in civilizing humanity against its stronger, dumber instincts. Discussing issues of parent-child contact ranging from breastfeeding and sleeping arrangements to sexual abuse, Jean O’Malley Halley traces the evolution of mainstream ideas about touching between adults and children over the course of the twentieth century in the United States. 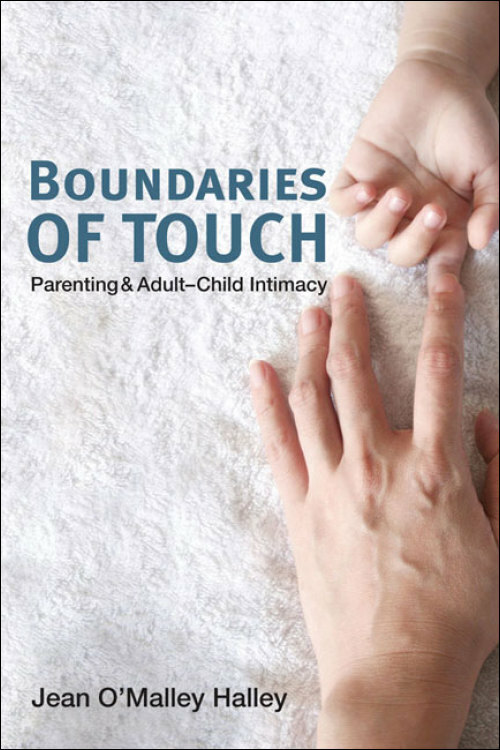 Boundaries of Touch shows how arguments about adult-child touch have been politicized, simplified, and bifurcated into “naturalist” and “behaviorist” viewpoints, thereby sharpening certain binary constructions such as mind/body and male/female. In addition to contemporary periodicals and self-help books on child rearing, Halley uses information gathered from interviews she conducted with mothers ranging in age from twenty-eight to seventy-three. Throughout, she reveals how the parent-child relationship, far from being a private or benign subject, continues as a highly contested, politicized affair of keen public interest. 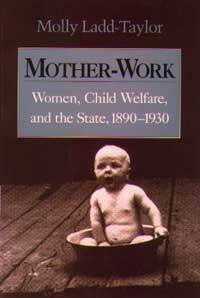 Early in the twentieth century, maternal and child welfare evolved from a private family responsibility into a matter of national policy. In Mother-Work, Molly Ladd-Taylor explores both the private and public aspects of child-rearing, using the relationship between them to cast new light on the histories of motherhood, the welfare state, and women’s activism in the United States. She argues that mother-work, “women’s unpaid work of reproduction and caregiving,” motivated women’s public activism and “maternalist” ideology. Mothering experiences led women to become active in the development of public health, education, and welfare services. In turn, the advent of these services altered mothering in many ways, including by reducing the infant mortality rate. In the late nineteenth century, midwifery was transformed into a new woman’s profession as part of Japan’s modernizing quest for empire. With the rise of Japanese immigration to the United States, Japanese midwives (sanba) served as cultural brokers as well as birth attendants for Issei women. They actively participated in the creation of Japanese American community and culture as preservers of Japanese birthing customs and agents of cultural change. The history of Japanese American midwifery reveals the dynamic relationship between this welfare state and the history of women and health. Midwives’ individual stories, coupled with Susan L. Smith‘s astute analysis, demonstrate the impossibility of clearly separating domestic policy from foreign policy, public health from racial politics, medical care from women’s care giving, and the history of women and health from national and international politics. 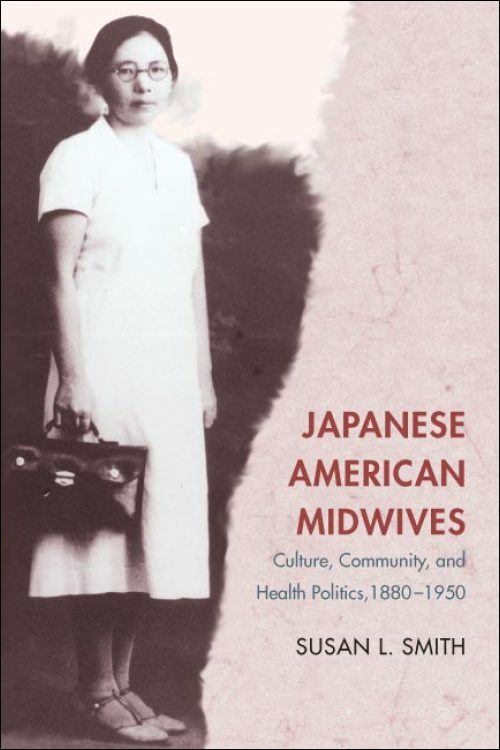 By setting the history of Japanese American midwives in this larger context, Smith reveals little-known ethnic, racial, and regional aspects of women’s history and the history of medicine.